In this blog post, you will learn how to build an effective employee referral program in 4 easy steps! How to build an effective employee referral program? Thinking about building an employee referral program for your company? You are on your way to find qualified candidates easier, faster and cheaper! Employee referral programs can significantly improve your time, cost and quality of hire. However, to achieve the highest return on investment (ROI) of your employee referral program, you need to build an effective, structured employee referral program. In this article, you will learn how to do that in 4 easy steps! First, you need to understand and define your hiring needs and resources. Then you need to set up specific, measurable and time-bound goals. Make a life a lot easier for your hiring team and your employees by automating your employee referral process. Modern Applicant Tracking Systems have built-in automated employee referral programs. Next, you need to make the rules of your employee referral program clear, consistent, transparent and fair by setting up an official employee referral program policy that will contain all the rules in one place. Finally, you need to design an effective employee referral bonus program. Organize a special event to introduce an employee referral program to your employees or simply have your CEO announce your new program in the regular all-hands company meeting. To keep your employee engaged, create specialized campaigns to promote your employee referral programs. Organize employee referral parties, include a note about your employee referral program in your company newsletter, print out employee referral posters, etc. Make sure you recognize the effort of your employees and show your appreciation. for their contribution to your company. Reward them and celebrate each and every successful hire made through employee referrals. It is also important to track and measure the results of your employee referral program. Analyzing your results will also help you discern your best practices and bottlenecks. How do successful companies motivate their employees to take part in employee referral programs? Discover the secrets of the 4 companies with the best employee referral awards! Employee referral awards: A perk or a necessity? Let’s make one thing clear – great employee referral awards are not just another, cool perk that big brands use to showcase their Employer Brand. Great employee referral awards are a necessity if you want to motivate your employees to take part in your employee referral program. It is not enough to simply setup up a structured employee referral program. Yeah, you as an HR professional might be excited about your brand new employee referral program because you know it can significantly improve time, cost and quality of hire. However, your employees won’t share your excitement if you don’t lure them in with some great employee referral incentives! So what type of employee referral awards work best? Let’s take a look at the industry best practices. Google found out that giving its employees trips to Hawaii is better than offering them a $1M employee referral cash bonuses. It may not be the first thing that comes to your mind, or even your employees’ mind when you ask them what they would like. However, according to Google, it is what makes employees happier than cash incentives. Test out Google’s best practice with your own employees! Although your company probably can’t afford to send your employees to Hawaii, look or a more affordable trip option you can offer your employees. DigitalOcean launched its new referrals incentive structure in May 2017. For each referral candidate who is hired, the referring employee received a $3,500 referral bonus in addition to a $1,500 charitable donation paid by DigitalOcean on the employee’s behalf. The result? By the end of 2017, 40% of DigitalOcean’s new hires have been acquired through referrals. Structure your employee referral bonuses to serve a good cause. Instead of offering a cash prize, offer to make a donation to your employee’s favorite charitable organization. Instead of focusing solely on great employee referral awards per se, Hewlett Packard Enterprise builds a culture around it. They regularly organize company events to honor and publicly recognizes employees who refer qualified candidates. By recognizing their referring employes as “champions” and celebrating their success, this company achieves a greater employee engagement. Don’t focus only on your employee referral awards and forget to thank your employees for referring great candidates! Even if their candidate doesn’t end up hired in the end, you should still think of a way to thank them for their time and effort. Distillery is a software development company that has struggled to find and attract highly-qualified software developers. This is why they turned to their current software developers and asked them to recommend great candidates. Along the way, they discovered that their employees are most motivated when offered new gadgets such as a new iPhone or Apple watch. Looking for more employee referral award ideas? In this blog post, we presented 4 companies with the best employee referral awards. Hopefully, they inspired you and helped you come up with great ideas for your own employee referral awards! Still looking for that perfect employee referral award? Check out our list of the top 50 employee referral reward ideas! Here is the list of the 8 most important employee referral statistics you should know! What’s all the fuss about employee referral programs? Employee referral programs have become on of the most popular recruiting strategies for finding qualified candidates. It has been argued that every company should have an employee referral program. However, implementing an effective employee referral program is not as easy as posting jobs on job boards. It takes a significantly greater amount of time and effort. Let’s have a look at the data! Does your company have the effective Employee Referral Program? These statistics build a compelling case for having an employee referral program. Compared with other recruiting strategies (such as job boards, career sites, etc. ), employee referral programs have the highest return on investment (ROI). Employee referrals are a great way to improve your time, cost and quality of hire. If your company still doesn’t have an effective employee referral program, you’re way behind. But don’t worry, you can get back on track in no time – check out our Guide for setting up an effective employee referral program and start building your own employee referral program today! Are your job postings (job ads) attracting too many unqualified candidates, and not nearly enough qualified ones? Before investing a lot of time and money in implementing shiny new recruiting strategies aimed at attracting talent, you should first examine your job requirements. Job requirements are part of your job ads that state the qualifications and skills necessary for a certain position. Job requirements should clearly state what an employer is looking for. That way, potential candidates can know what is required of them before applying. If they match all the job requirements criteria, it means they are a good fit for a job and they have a chance of actually getting it. On the other hand, if they don’t match the job requirements criteria, they probably shouldn’t waste their time applying, because they have a little chance of getting the job. Thus, by laying out clearly defined job requirements, employers can attract the right of type candidates. Over or under qualified candidates will be turned away from applying, thus saving employers a lot of time and money in the long run. How to write job requirements? Contrary to popular practice, writing great job requirements is more than just copy-pasting the “Qualifications and skills” part of your job description templates. To write efficient job requirements, you should combine your job description with your candidate persona and choose the most important, key qualifications and skills desired in your perfect candidate. Improve the readability of your job requirements by listing them in a form of bullet-points. The best practice is to list no more than 7 bullet points. You “must haves” should entail only the essential qualification needed to be considered for the job. Separate them from the additional “nice to haves”. Don’t state your company’s demands. Instead, tell your potential candidates how working at your company can benefit them. Use the simple, everyday language and conversational phrases. Make sure you use the tone appropriate for your Employer Brand. Your requirements should aim to attract your perfect candidates. Be as specific as you can – avoid vague descriptions and stick with plain and simple wording. Job requirements are “must haves” that an employer is looking for in a candidate for a certain job position. Contrary to popular beliefs, job requirements aren’t just a list of specific qualifications, education, knowledge and skills needed for a particular position. Job requirements are a great opportunity to showcase your Employer Brand and company culture and attract the best candidates! Even if you are an experienced HR professional familiar with all the tricks for checking the truthfulness of your candidates resumes, there is only one way to prove that your findings are accurate. It is to use the background check service. Only certified background check services can guarantee a detailed, current and completely accurate information. With 23% of job applicants admitting to exaggerating the truth on their resume or in a job interview in order to land a position, you should be very careful if you want to hire the right people for your company. A reliable background check service will help you do that. Background check services offer different types of checks. Make sure you choose the background check service that can provide all the specific checks that you need. Make sure that your preferred background check service provider is completely legally compliant. It should be accredited by the National Association of Professional Background Screeners (NAPBS) and compliant with all relevant state and local rules and regulations. The average turnaround time for most of the background check service providers is 2-3 days, with some of them guaranteeing that you will have all the needed information in the 5 days maximum. Make sure that the background check service provider you choose offers a great user experience, both for you and your candidates. It should offer completely paperless, online, user-friendly and transparent service. It should also ensure great customer service that can answer all your questions via email, live chat and phone 24/7. Check review sites to read about other people experiences with different background checks services. Choose the background check service that can guarantee seamless integration with all other HR tools you use, such as your Applicant Tracking System, HRIS, etc. Hopefully, these tips will help you find the background check service that best fit your needs. The gains in workforce productivity in the last 15 years are numerous. But there are still many organizations today that are filled with a great deal of administrative work to get a task done – much of this work falls into the unstructured category and is a huge time waster. What if there was a way to look at work and build some structure and automation into processes to drive more productivity? Many organizations are looking at work and finding ways to add some guided insight so people can accomplish more in each day of work. Searching the phrase “increase workforce productivity” will return approximately 84 million results…in .57 seconds – an overwhelming amount of information about recent improvements and many predictions about future gains. Many of the articles revolve around management practices and what leaders can do to get to that holy grail of incremental effort – the kind of commitment that fills an employee with the drive to stay up late and take care of a customer problem or come in early when two nurses have called in sick on their floor. This is great when it happens, but people have lives outside of work and circumstances prevent doing any more than what is required for the job. Smart organizations are seeking productivity gains by identifying the biggest time wasters — the work that often falls through the cracks, is highly administrative, repeatable and many times done via phone, e-mail or still on paper. Some great examples of this type of work are tuition reimbursement, charity gift matching, or following up on a paycheck error. Employees spend significant time just trying to figure out where to go to resolve these types of issues. Once they think they have the right place to go, the next step is usually an e-mail or a phone call which sometimes lead to an out of office or voice mail. So the next step is another e-mail or phone call and soon more than 30 minutes has evaporated and the employee is still without an answer or resolution. Automation, intelligent workflow, and guided choices for employees to complete tasks are the keys to future productivity gains within workforces. For many workers, having immediate and direct access to answers is far more high-touch than having to call a service center to speak with a representative. Employees want the power of information and technology at their fingertips – besides, a cloud-enabled portal doesn’t have hours of operations – it’s always open and answers are instantaneous. Recently, a flight crew from a discount airline was waiting for a hotel shuttle bus and talking about where to go for a paycheck dispute. There were six people in the conversation and each person had a different answer of who to contact. Since the high-touch, phone-answering 1-800 number was only open 12 hours a day, there were lots of work around as far as how to circumvent the often 20 or 30-minute hold time for a representative to look into the situation. If this even happened 50 times a day, for a global 24/7 operation, the cost implications are beyond significant. In this situation, one employee had a similar issue and was on the phone for over an hour resolving a problem…and on the clock the entire time. A paycheck question is one of the easiest things to solve through automated workflow – there is one place to go and technology helps the employee find the right person for that unique question. Smart companies start by listening to their employees and finding out what tasks or procedures are causing the greatest frustration. Once you have a short list of “pain points” of high frustration tasks for employees, the work to automate can begin. The great news is that sizable gains can be made just by making information readily available and easy to find. Most companies are looking at overall search capability to serve up answers to an employee without that person having to know exactly where to go. A search of tuition reimbursement should bring up the policy, a list of FAQs, the link to submit grades and transcripts, a selection of where the reimbursement should go and someone to contact in case of a unique situation (e.g., think of all the recent for-profit college closings in recent years – the right person should be reachable and available to assist in that situation). When employees are frustrated and administrative items are ridiculously difficult to resolve, the greater productivity impact is around the stories being shared about the awful experience. When an employee’s life event is particularly sudden and there are delayed responses or confusing communications from multiple parties, the result is a worker who is frustrated AND upset. Terrible experiences with HR cannot be ignored. People share them. It’s too good not to share…and vent…and complain about – and then others hop on the bandwagon of THEIR awful work situation that was confusing and took forever to resolve. This is all solvable by getting employees used to going one place –one platform instead of multiple systems — to have their issues resolved. When there is a strong service delivery strategy and solution in place within an organization, it really doesn’t matter what the request is – the answer is easy to find, the employee gets a quick resolution and there’s no drama over a ridiculous process. It is easy to start small and keep building out answers that keep people focused on their actual jobs. Employees should not have to spend a great deal of time and energy to be an employee. At least some of this time and energy can then be expended on real work — like completing projects, making deadlines and serving customers. Which are the most important features every Recruitment Software should have? Look for these 5 if you want a tool that will automate, streamline and fasten your whole recruitment process. First Recruitment Software appeared more than 20 years ago. It was created to help HR professionals manage a ton of paperwork and spreadsheets. In the meantime, recruiting has completely changed. Companies are now facing new challenges: finding and attracting talent. As a consequence, Recruitment Software now offer many new features that are designed in order to help HR professionals tackle these new challenges. There are many different Recruitment Software that offer specialized solutions for a certain recruiting challenge or a stage. A Recruitment Marketing Software offers a list of solutions for managing a pre-application stage of your hiring process. An Applicant Tracking System on the other hand offers a list of solutions for managing a post-application stage of your hiring process. 2.) Create, export and share beautiful reports. 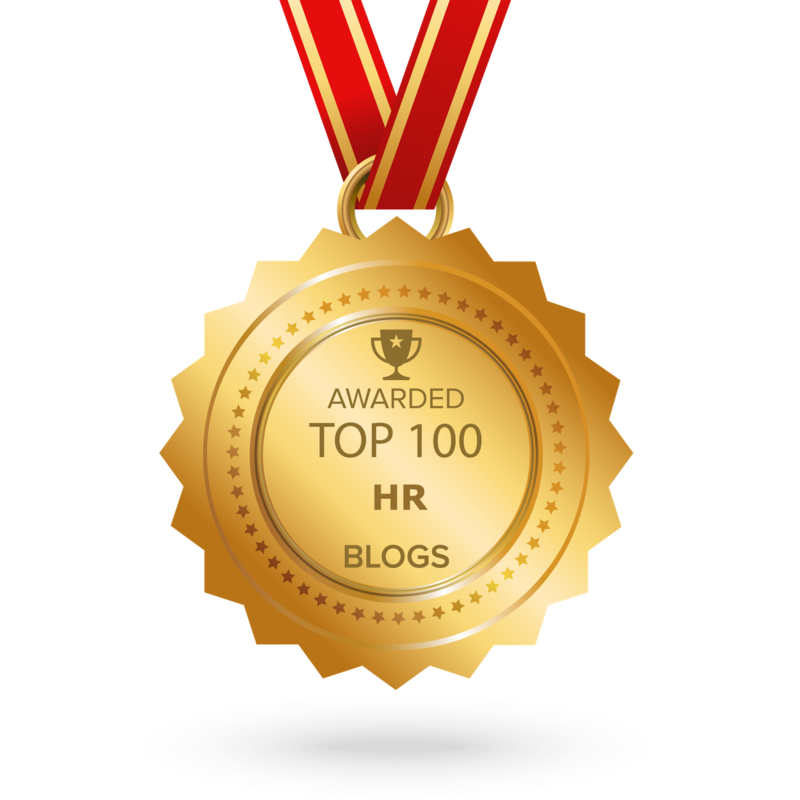 Why should you follow HR influencers? Following the top HR and recruiting influencers is a must if you want to stay up-to-date with current HR and recruiting trends. 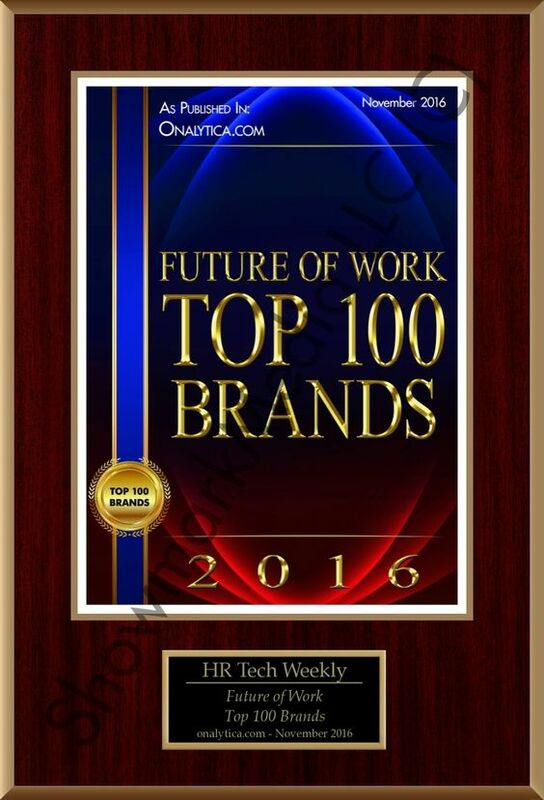 HR and recruiting industry has been going through some serious changes. As a consequence, many new industry benchmarks have been established. 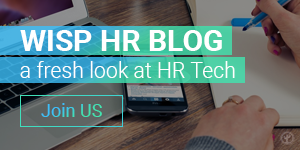 One of the best ways to stay in the loop is to read the best HR blogs, utilize the useful HR resources and follow the prominent HR and recruiting experts. Matt Charney is probably the world’s top expert when it comes to talent and technology. He is the Executive Editor for Recruiting Daily, the #1 online media resource for the recruiting world. William Tincup is the President at Recruiting Daily, the #1 online media resource for the recruiting world. He is one of the most followed HR influencers on Twitter with more than 300K. Lou Adler is the CEO and founder of The Adler Group – a consulting firm that helps companies implement performance-based hiring. He is one of the most followed HR influencers on LinkedIn with more than 1.2M followers. Meghan M. Biro is a founder and CEO of TalentCulture and Founder of the #WorkTrends podcast and Twitter chat. Every week, Meghan interviews a guest who’s thinking creatively about the future of work. Glen Cathy is a senior recruiting executive with over 16 years of experience. He writes about it on his blog Boolean Black Belt-Sourcing. Jörgen Sundberg is the founder & CEO of Link Humans, an employer branding agency. Jörgen started the Undercover Recruiter blog in 2009, now the #1 career & recruiting blog in the world. Today he hosts the weekly Employer Branding Podcast.